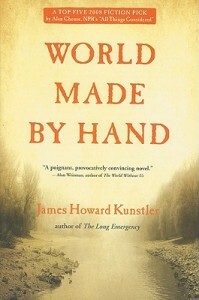 “World Made by Hand” by James Howard Kunstler, published in 2008. Rating: 3/5. World Made by Hand is a speculative fiction book about how a sociopolitical collapse may be experienced by small-town Americans. It is of a reasonable length, engaging and generally well-written, although far from a literary masterpiece – not that that is necessarily a minus, since it serves a polemic rather than a purely artistic purpose, and it is from the latter angle that we shall approach it. 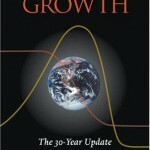 Kunstler depicts a collapsed world where by the 2020’s the engines of commerce have grounded to a shuddering halt, the arm of the state has withered into oblivion, and the electric lights (‘juice’) of modern civilization petered out, ushering in a new Dark Age, both literally and metaphorically. The largely listless and apathetic population is wracked by super-high mortality rates as that Malthusian trinity, famine, disease and war, stalks the land and reaps down the weak and stupid. Although life is dirtier and more violent, at least for some, like Robert Earle, the narrator and hero of the story, it is also more wholesome and fulfilling. With ‘machine noise’ silenced and its noxious, hallucinogenic fumes and toxins curtailed, man is free to rediscover nature, revealing a world much realer and richer than the rows of bland metallic boxes and suffocating serpents of asphalt that symbolize our consumer society. The economy is almost entirely local, as cart and boat are the only means of transportation. Its mainstay is agriculture and salvage. Chaos and banditry have choked off the import of luxury goods like coffee, and ownership of horses is a great symbol of status. Modern antibiotics and anaesthesia are history, with natural herbs and opium taking up the slack, respectively. The President’s power does not extend beyond his capital and the voices of crazed preachers fills the airwaves whenever the electricity briefly flickers back on. Race wars, religious persecution and forced displacement of peoples rended the former United States of America into a patchwork quilt of small city-states, tin-pot despotisms and power vacuums. The rule of man has displaced the rule of law, hostage and ransom rackets are flourishing industries and most disputes are resolved ‘personally’. A big theme of the book is Robert’s struggle to stand up against injustice, fighting extortionist kidnap racketeers impiously pretending to be taxmen and judges and a thuggish motor-head gang making its living mining the detritus of the prior age, garbage dump and suburbia, for valuables. So far so good, and more or less what one would expect. Except for Kunstler mentioning the electricity sporadically coming back on for a few minutes. That is unrealistic – either you have people maintaining the grid, or you have a permanent blackout. Since the former is very obviously not occurring, you’re not going to have a few drops of juice now and then – you’ll have to do without, period. And with that, it’s time to shift from summary and praise to hard-headed criticism. In the world made by hand, women are being dealt a bad one. We do not come across a single woman occupying an important political or even social position. Long skirts and shawls are back in fashion. Now it is true that in times of social and economic collapse, as during the 1990’s in the post-Soviet world, people yearn for a ‘strong hand’, which implies masculine power with all its implications for women’s political standing. It is also to be expected that a whole-scale collapse of industrial civilization and even the most basic state functions will entail an even greater shift within the power of the sexes to the detriment of the fairer. As such, it is not at all surprising that the mayors, constables, judges, gang capos, dockyard ‘bosses’ and religious leaders we come across are all men. However, the absence of women from the town council or professional occupations (medicine, dentistry, etc) is another kettle of fish. Today, a big percentage of the latter are women, and since Kunstler’s skills-starved world needs all the expertise it can get, one can only assume that Union Grove was an unusual town in this respect. Secondly, transformational change typically requires two generations to saturate itself into society – although the Soviet Union was an atheist state from its inception, mass irreligiousness only became reality in the 1970’s. The book was published in 2008; textual clues indicate that the summer story it recounts is no later than in the 2020’s. So I very much doubt women will lose political representation and slip into bulky dresses a mere two decades or so after collapse. Another major point of disagreement is the sheer speed of the collapse. As noted, the book implies the collapse starts in earnest from, well, today, and that all the amenities of late industrial civilization will have disappeared by the 2020’s. This implies that the collapse will be a cliff-dive back into the so-called Olduvai Gorge, which is an extreme ‘doomer’ scenario. I am a peaknik and believe there is still huge scope for oil consumption to be scaled back without die-off (if anything, forcing Americans to do without SUV transport to the nearby Wal-Mart will improve their health – after the end of subsidized Soviet oil imports into Cuba, their rates of obesity and diabetes fell dramatically) and that there are still a few decades left of liquefiable coal and natural gas, and uranium reserves. 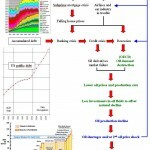 Even discounting the promise of wind power, solar and paradigm-shifting technological breakthroughs, society will continue to have access to energy sources with a sufficiently high EROIE – which will allow us to sustain an ‘emergy’ plateau until the middle of this century with all the things it allows (railways, the electric grid, the Internet and cell phone network, etc). Contrary to what one might think from my optimism on the timing of the collapse and women’s status after it, I am much more bearish on the degree of violence that will prevail in a failed world. It is absurd that in a world of natural law and survival of the strongest no marauders have come across and sacked and looted Union Grove, a (relatively) prosperous but undefended outpost of civilization. In practice we can expect nomadic armies, something like Mongols with machineguns, wage war against sedentary societies that retain some semblance of manufacturing capacity. The idea that the utility of firearms will diminish due to a shortage of bullets, to the extent that some actually resort to fighting with swords, holds no water. Bullets can be manufactured with en masse with relatively simple equipment, lead will be one of the few things there will certainly be no shortage of and gunpowder is a medieval technology. The rate of depreciation on many firearms is extremely low – things like Mausers, AK’s and Colts can be kept in perfect working order for centuries. Union Grove should also be bourgeoning with ethnically diverse migrants from the collapsed formerly high-density societies of the eastern seaboard, whereas in the book the town is largely local and lilac white. The Western-style gunfight between the heroic band of brothers (Robert, Joseph, Minor et al) and professional kidnapper Dan Curry’s minions was simply unrealistic. Bad guys can’t aim only in the movies. Also, the way Joseph and Robert just entered Dan’s office, with their weapons, is unrealistic – mob bosses are not idiots and they would have been searched and disarmed before being allowed in. I doubt the hyper-inflated US dollar will survive as a universal currency in the absence of unified authority. It is far more likely the units of exchange will be locally issued coupons or durables like bottles of whiskey or even oil barrels (now that would be poignant!). It is very unlikely that communication networks will unravel anywhere near as fast even in the event of total collapse. There exist solar-powered radios, and as Kunstler noted, some enterprising people like Stephen Bullock will continue generating electricity on a local scale. So practically all electronic devices will function. Granted, complicated things like computers will break down quickly and will not be replaced, since they use specialized components that could only by produced in highly complex manufacturing operations, but any committed amateur could repair or even build a new radio from scratch (a small population surrounded by junk produced by a prior much larger and much richer population will have no problems scrounging the necessary materials). This will allow local power centres, the government and other major organizations to keep in touch with each other across great distances. 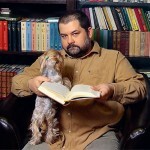 Rumors and word of mouth will take a very long time to reclaim their old status as the major medium of communication. I was somewhat disappointed with how little attention the effects of climate change received, but considering that a) it’s only the 2020’s, b) widespread anthropic emissions of greenhouse gases ceased in the 2010’s and c) it is, after all, a novel specifically about the post-peak oil world, I will not complain. Finally, I’d like to defend Kunstler from some of the criticisms levelled against him. Although Asian pirates attacking the western US seaboard is unrealistic (Americans are a well-armed people, and there are much easier pickings closer to home), race wars, particularly in the South, are a real possibility. After all, visioning unpleasant futures is not the same thing as endorsing them. Granted, it is obvious from his writings that Kunstler yearns for the end of industrial civilization and the bucolic charm of the early American settlement. But I don’t condemn him for that. This death-instinct is a universal trait of our species – just observe the runaway success of the post-apocalyptic genre in film and video games. Looking at matters from a historical perspective, industrialism is a very short and unnatural aberration in the human condition, and it is not surprising that many should react against it. Machines will be initially missed, but man will adapt to the simple satisfactions of a world made by hand and the reappearance of intimate connections with Gaia and her elusive elemental spirits. Unlike some reviewers, I appreciate Kunstler’s inclusion of some unexplainable supernatural phenomena at the end of the book (the Mother Bee and the death of Wayne Karp). The end of age of the Machine will usher in a new age of magic and mystery. [easyazon_link asin=”0802144012″ locale=”US” new_window=”default” tag=”httpakarcom-20″ add_to_cart=”default” cloaking=”default” localization=”default” nofollow=”default” popups=”default”]WORLD MADE BY HAND[/easyazon_link] is well written and a page-turner, but is most certainly not a literary masterpiece – chapters are too repetitive, characters are too one-sided and dialog is too clichéd. Although successful at capturing the spirit of earlier ages, I feel that too often Kunstler simply substituted an imagined past in place of visioning the future, which is a more challenging enterprise. Although I like many of Kunstler’s theme choices, they are undermined by the difficulty of suspending disbelief in too many places. The lack of literary merit compounded by failure in the nuts and bolts of serious futurist visioning means I cannot recommend this book too highly.